Great book. Read it when it came out. In a 1950 conversation at Los Alamos, four world-class scientists generally agreed, given the size of the Universe, that advanced extraterrestrial civilizations must be present. But one of the four, Enrico Fermi, asked, "If these civilizations do exist, where is everybody?" Given the fact that there are perhaps 400 million stars in our Galaxy alone, and perhaps 400 million galaxies in the Universe, it stands to reason that somewhere out there, in the 14 billion-year-old cosmos, there is or once was a civilization at least as advanced as our own. 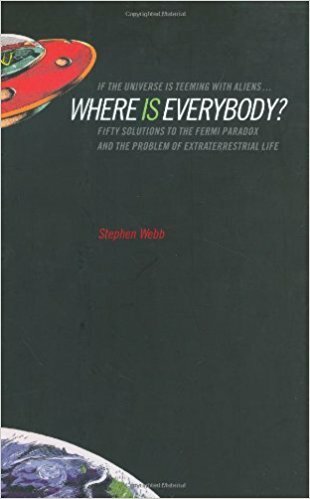 Webb discusses in detail the 50 most cogent and intriguing solutions to Fermi's famous paradox.